This Herbfest is a brainchild of three local herbalists: Salli Greene, Joanne Grubert, and Chris Haller. There are very few herbal conferences nationally and none in this area. This can make it difficult for herbalists, young and old, male and female, to gain more education in a conference setting. Sturbridge, because it is centrally located, is an ideal location and is expected that the Herbfest will be an annual event. There will also be food vendors and craft, jewelry, and product vendors set up on the lawn of the Sturbridge Senior Center. 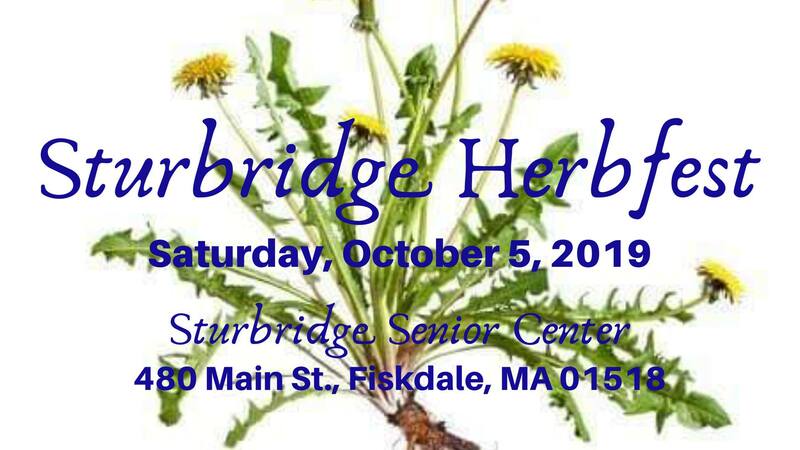 The Sturbridge Herbfest is now taking vendor applications, $50 for a 10x10 space. Pre-registration is $10 and $15 the day of the event. Intensives are $25. The other classes are part of the admission. For more information call Salli, at Alternatives For Health, 508-347-2111.